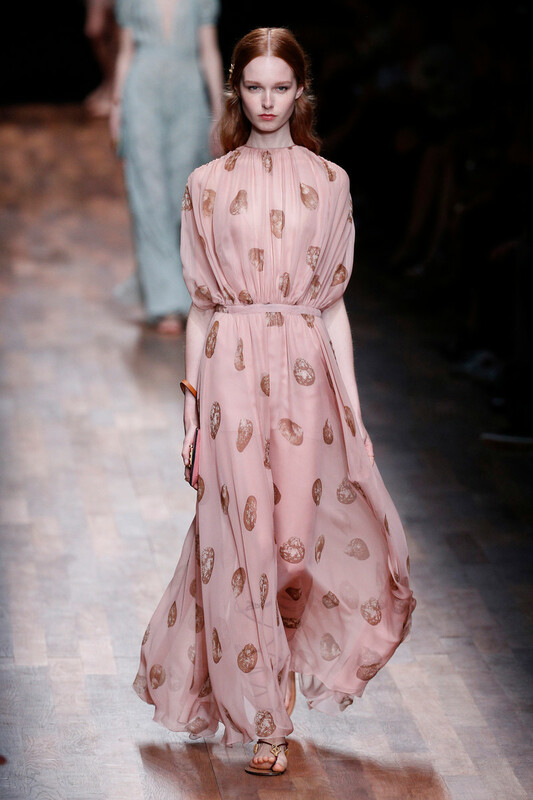 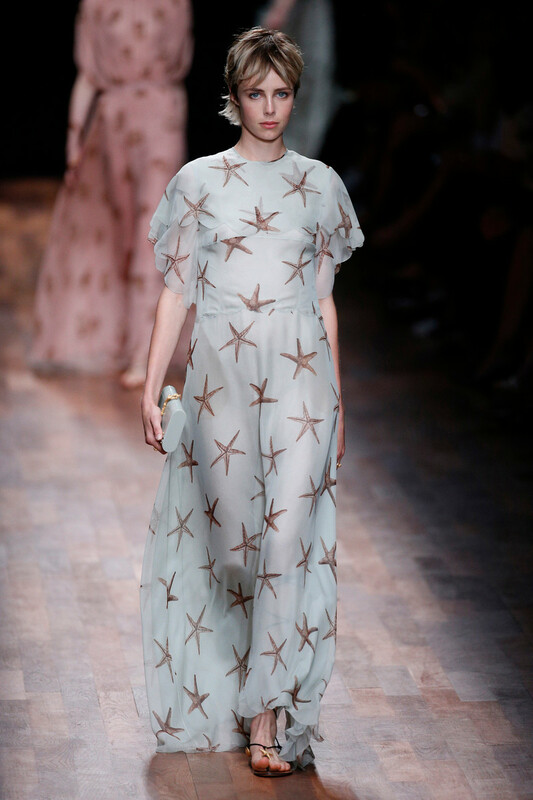 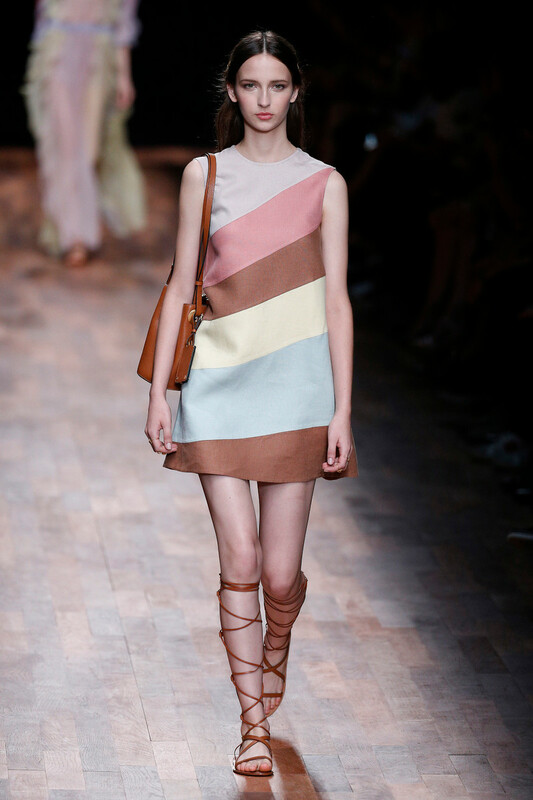 In a color palette of rich shades ranging from navy blue to tiered into a series of pastel attires Maria Grazia Chiuri and Pierpaolo Piccioli sent out the chicest Valentino pieces for upcoming season. 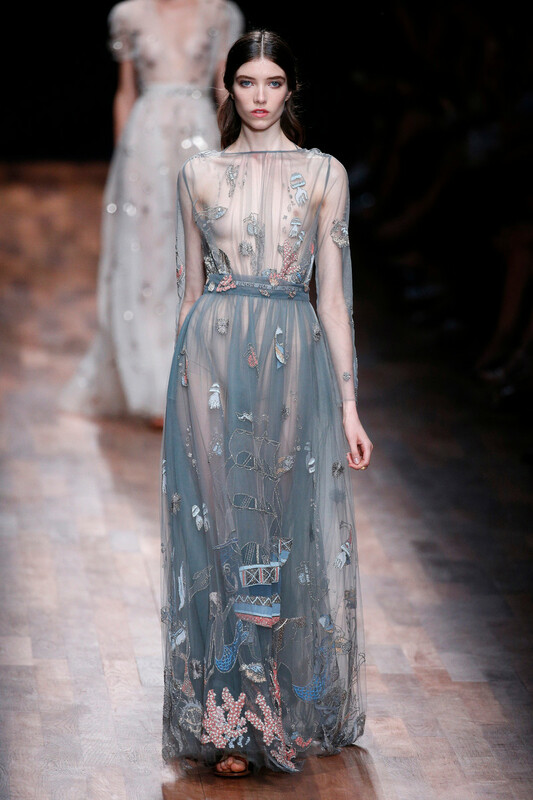 They used to most delicate materials to create their dreamy designs. 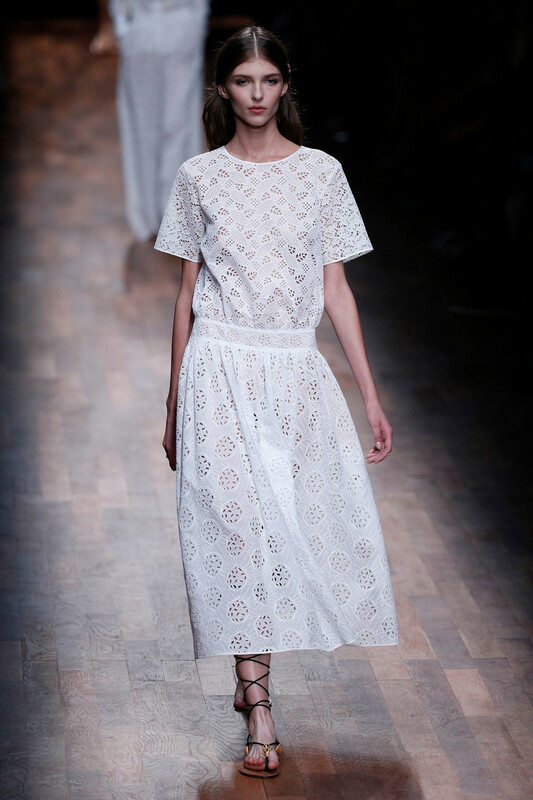 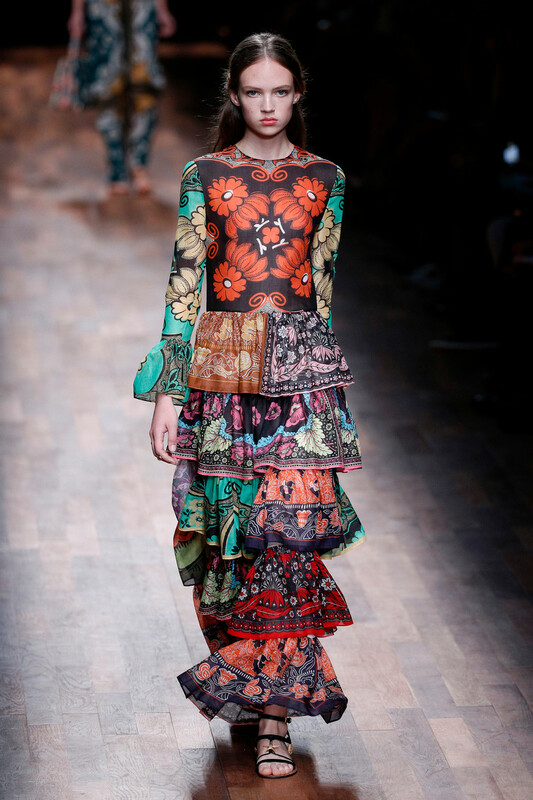 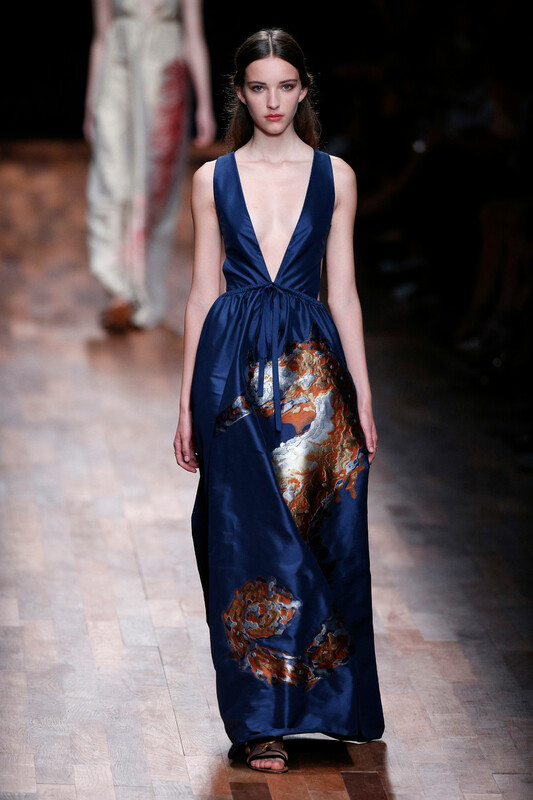 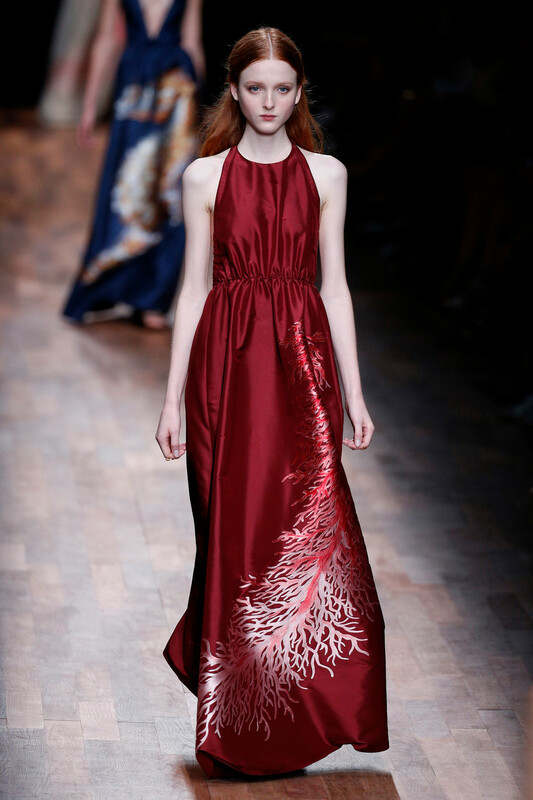 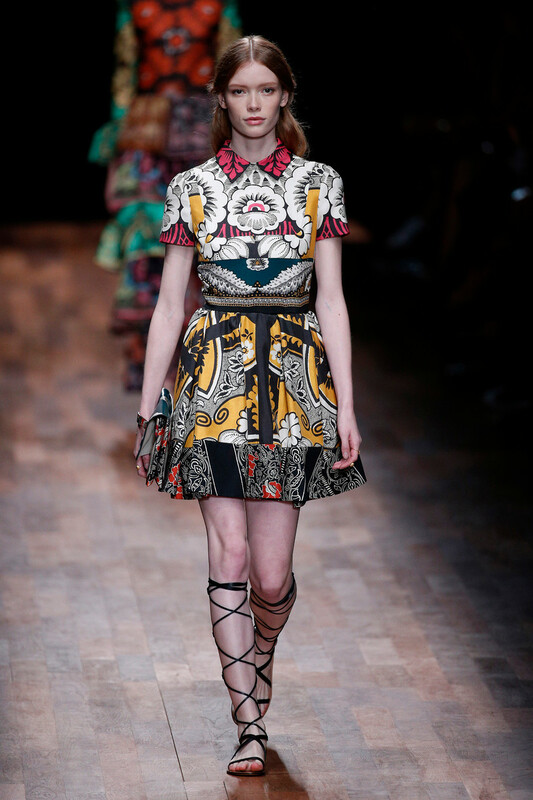 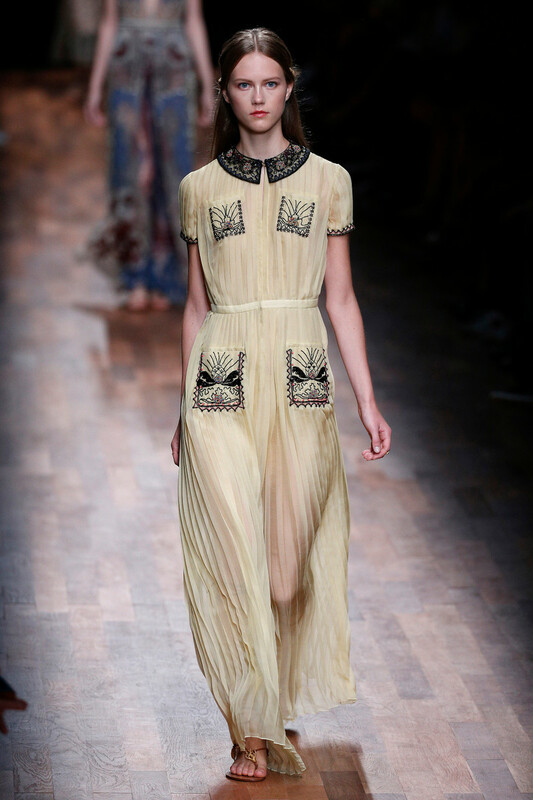 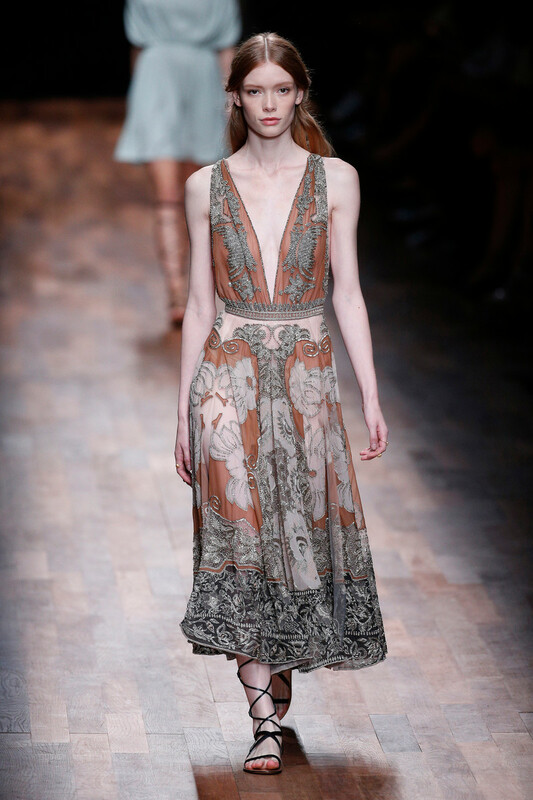 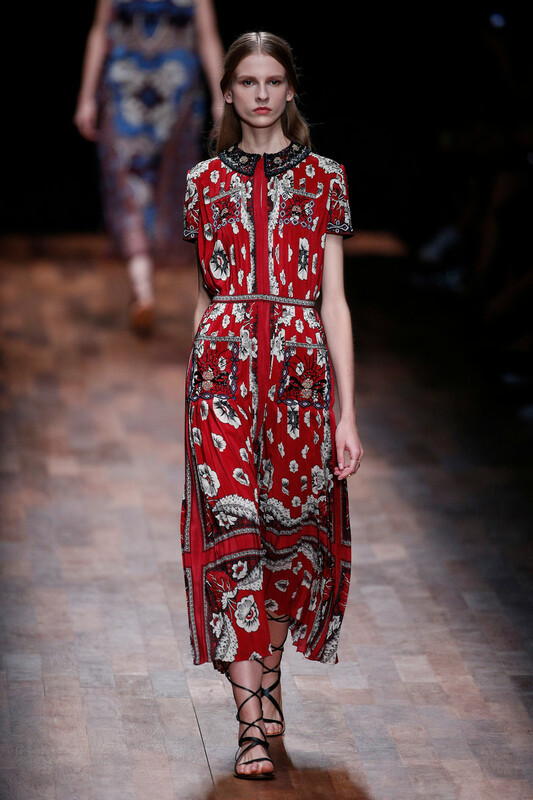 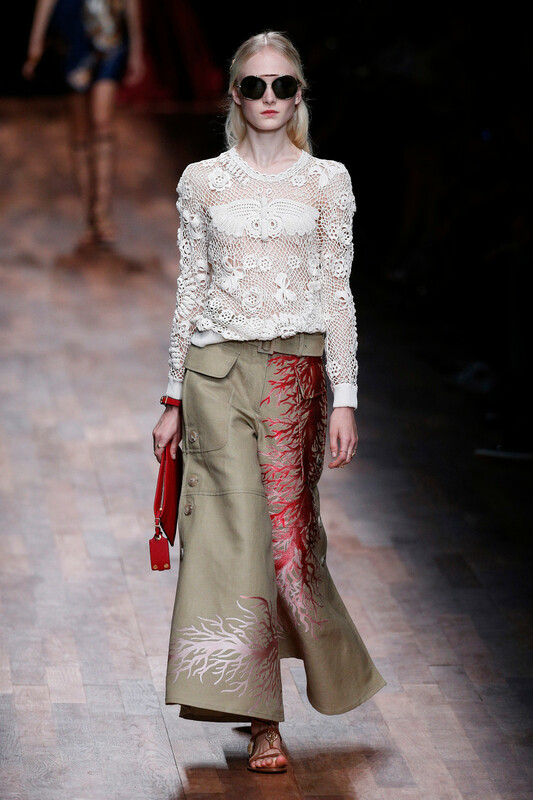 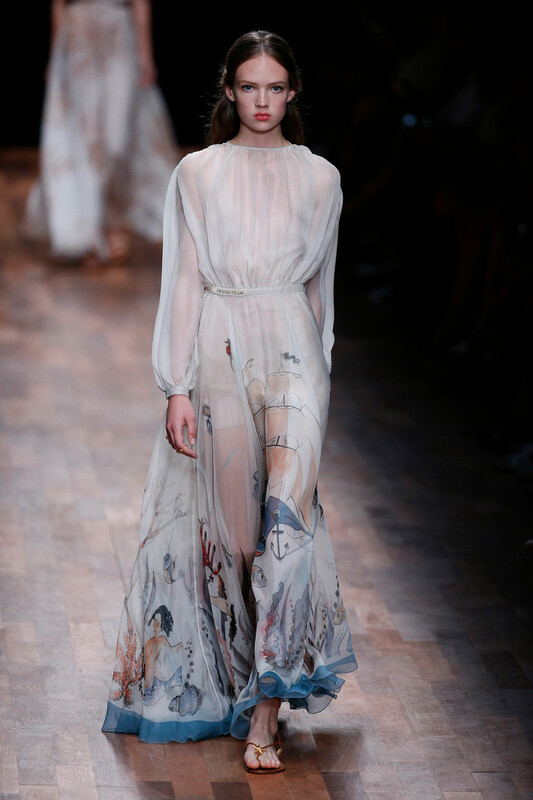 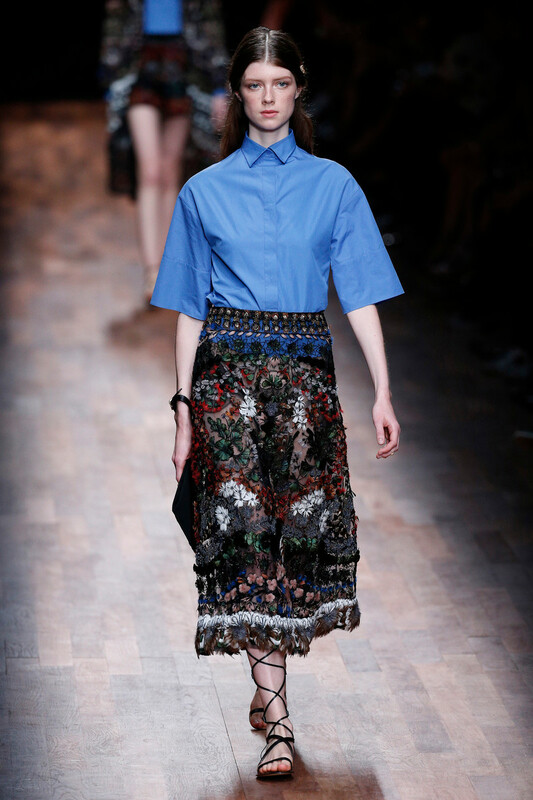 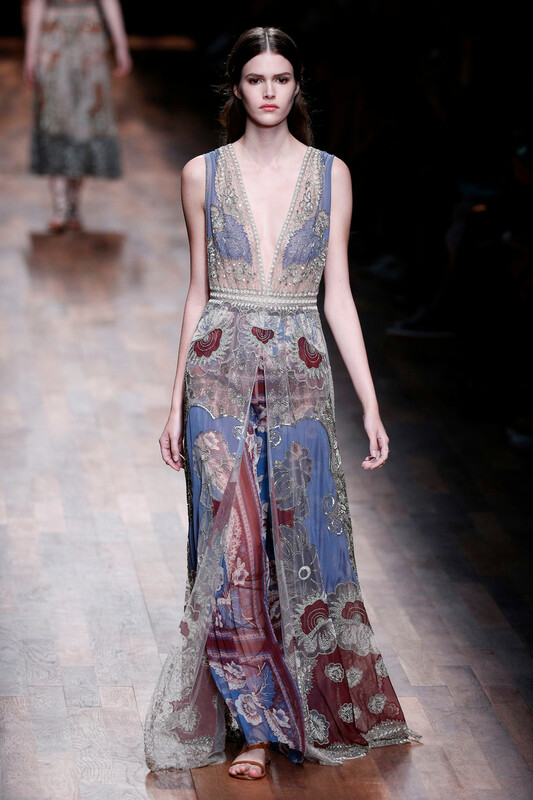 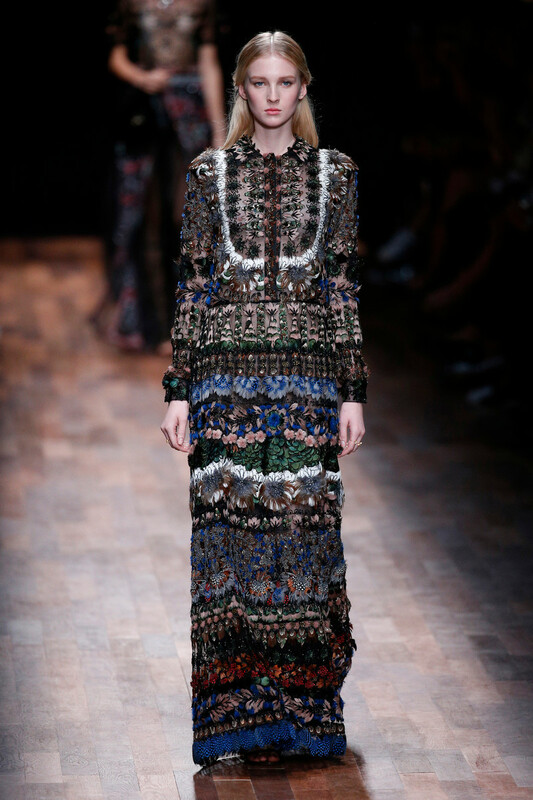 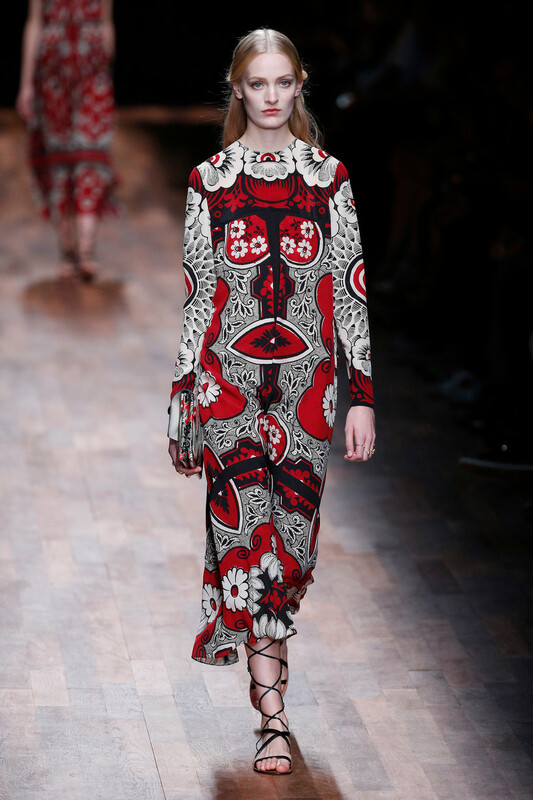 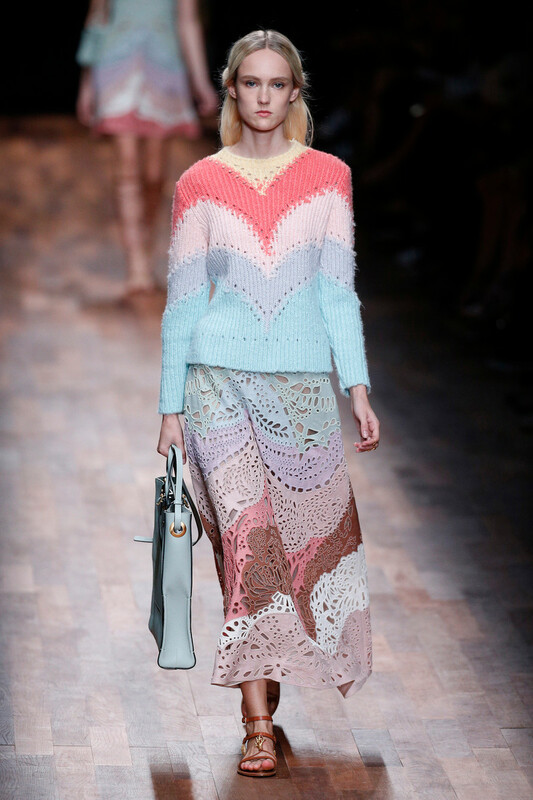 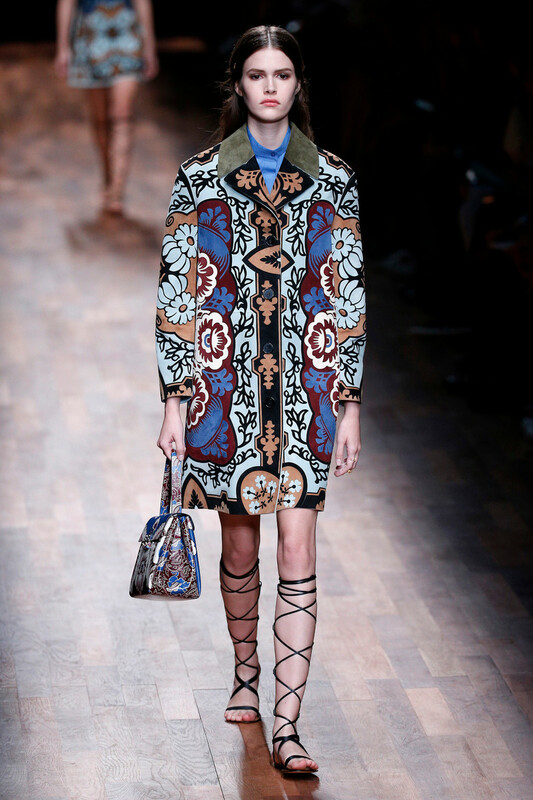 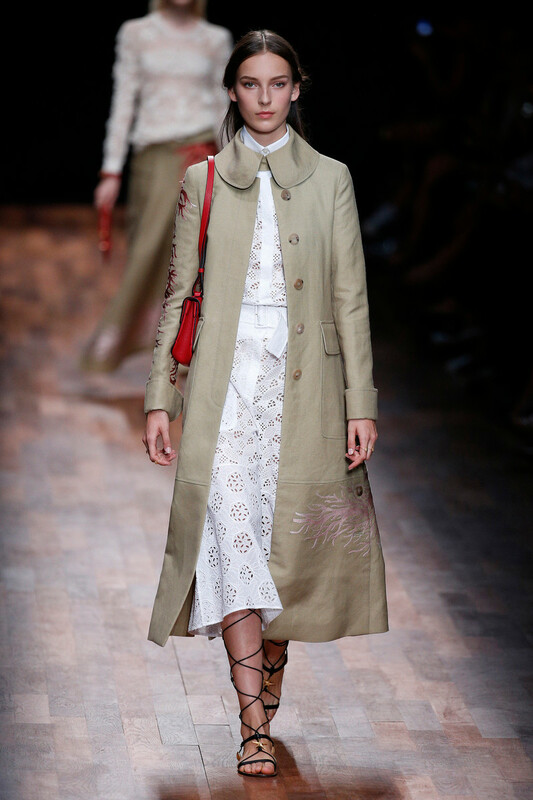 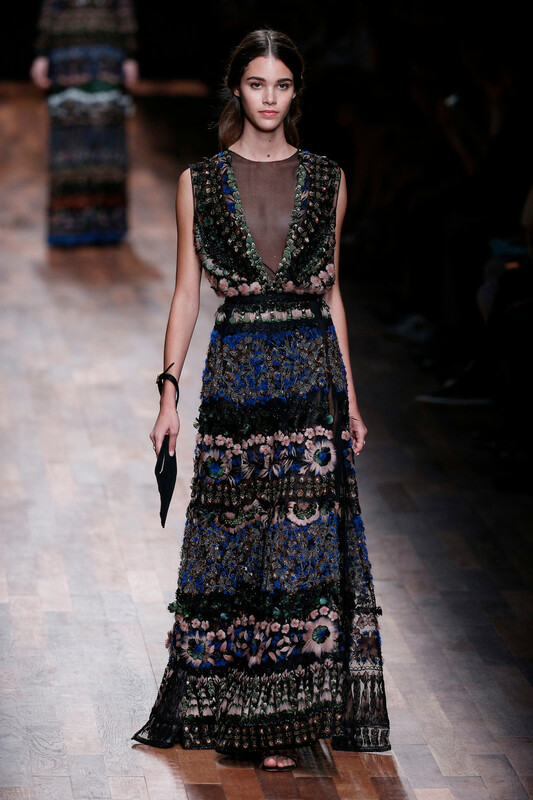 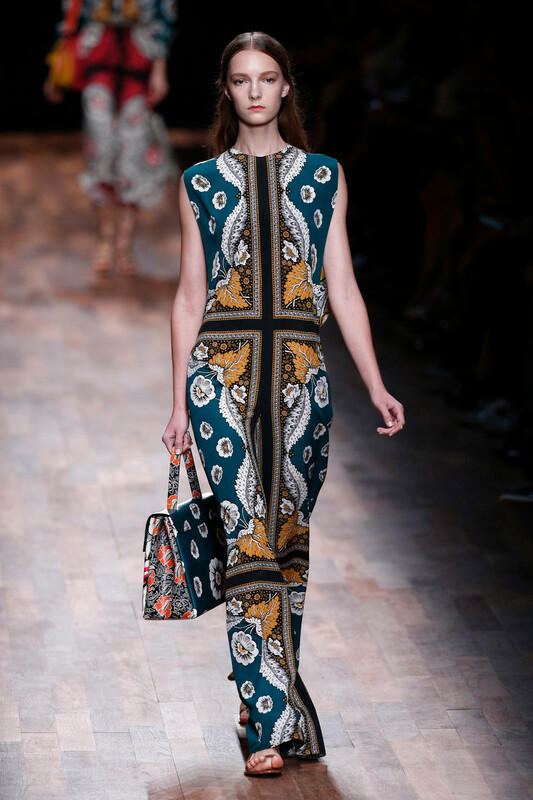 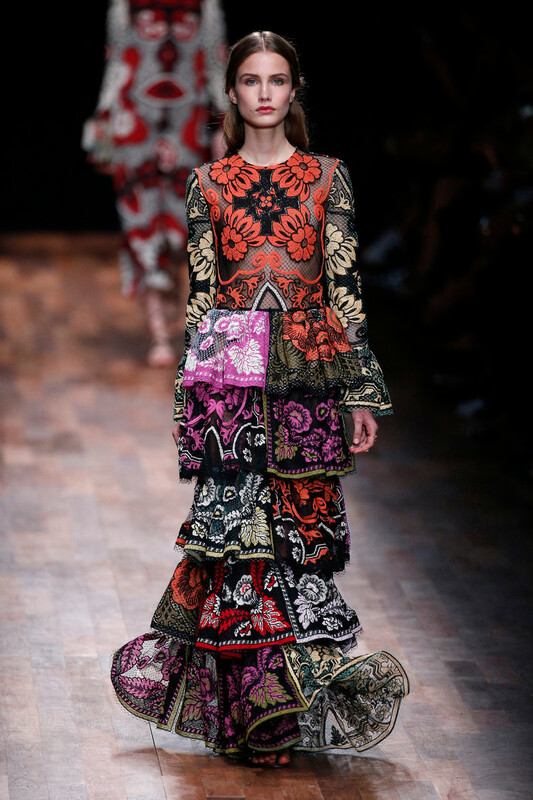 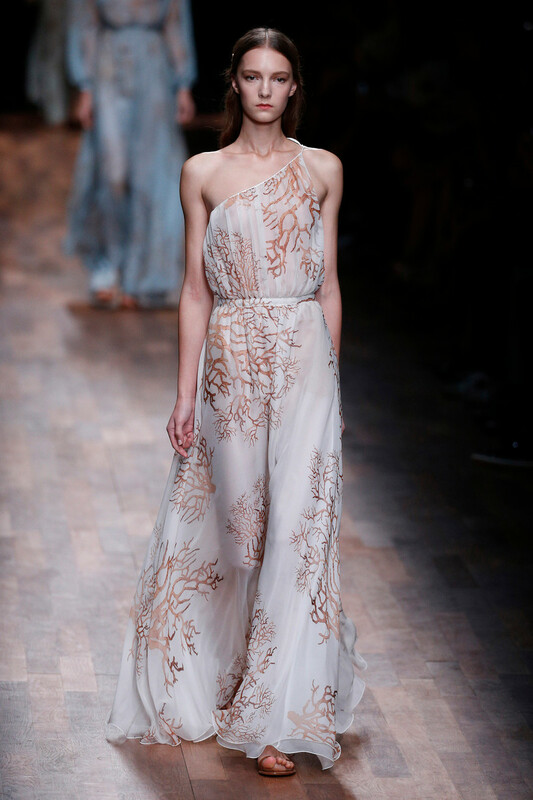 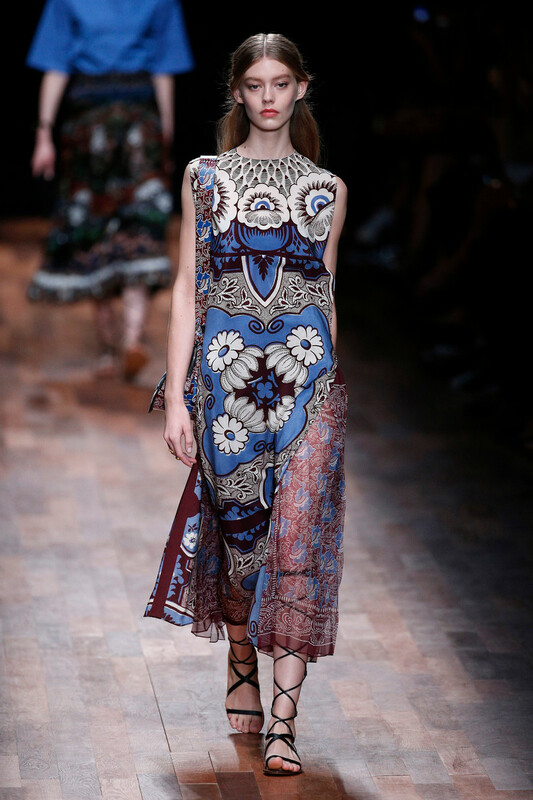 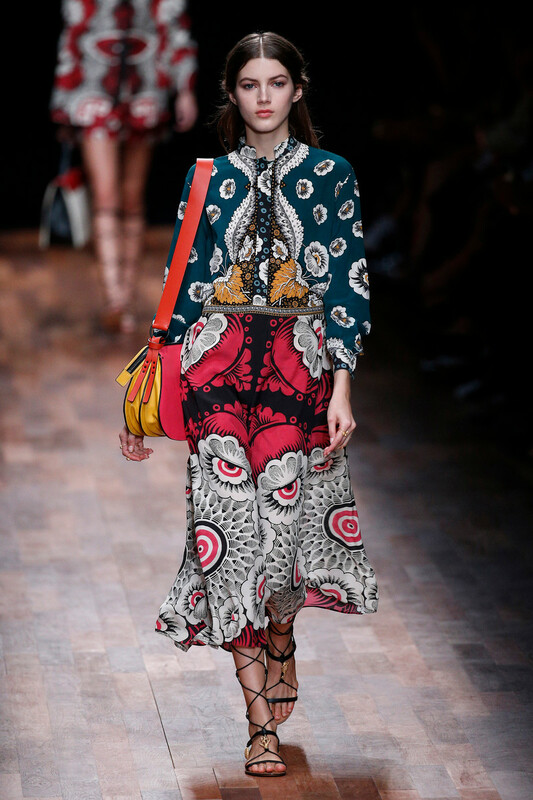 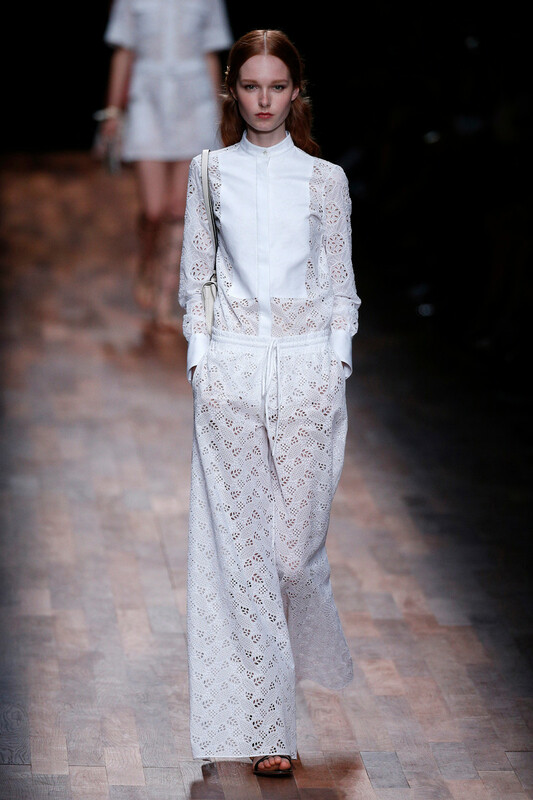 Knitwear and lace, embroidered, graphically printed and hand painted every look breathed delicateness. 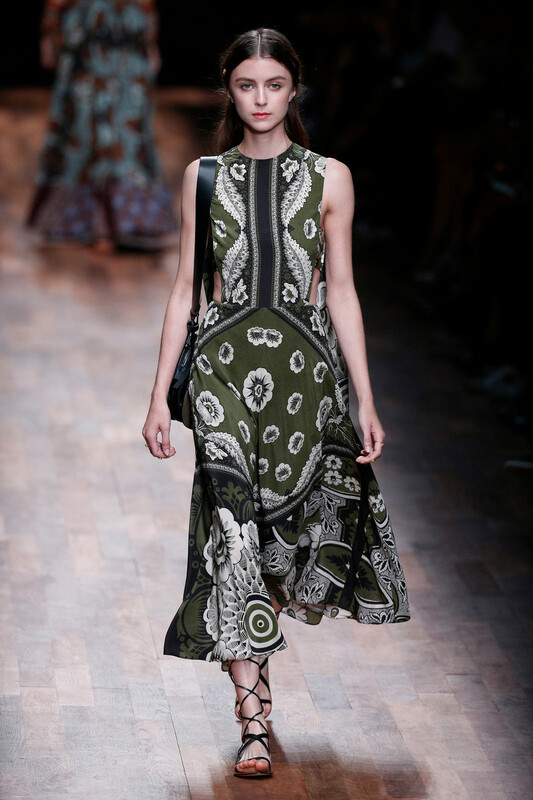 Perhaps the collection felt a little less conservative than previous seasons, allowing asymmetric sleeves, cutouts, low cleavages, bare bellies, gladiator sandals and sunglasses to be part of the show. 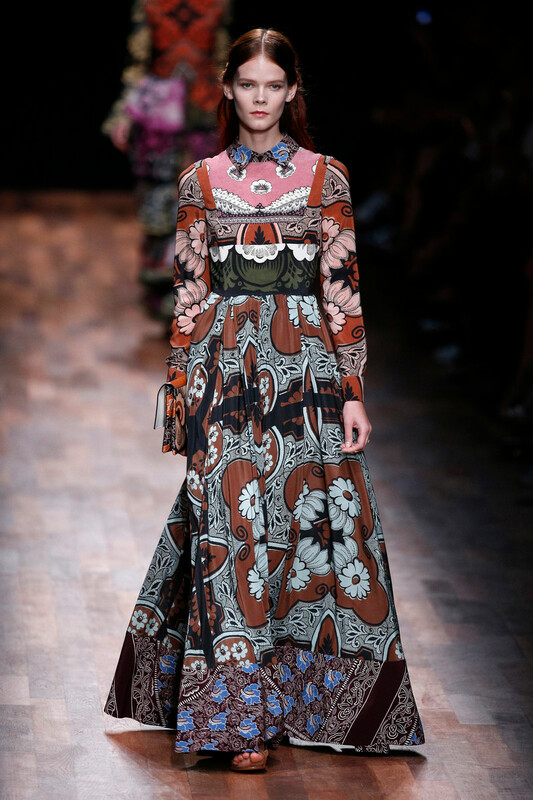 Yet still lots of blouses were fully buttoned, skirts reached over the knee, countless floor sweeping gowns were introduced and the models long hair was soberly parted and worn backwards, sticking to the fashion house’s signature of elegance. 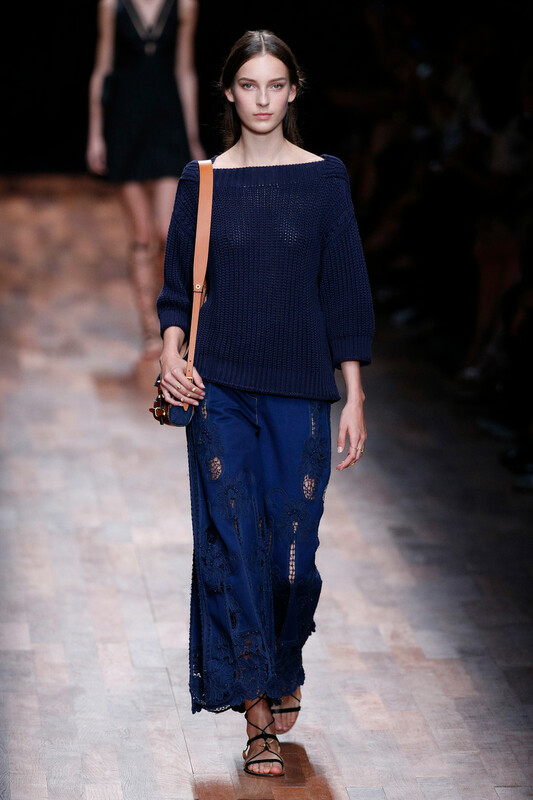 A dreamy collection with an extra youthful & tun twist.